Move Railcars Safely And Without Damage! The SAS Railcar Mover / Coupler provides secure attachment between the railcar and wheel loader allowing railcars to be moved along side tracks to cargo loading areas. Eliminate possible run away cars. 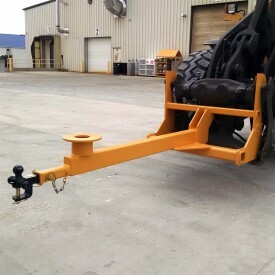 Securely attaches to railcar hitch for moving either forward or reverse. Operator is in complete control of car while coupler is attached. Made of heavy structural steel. No assembly required, put to use immediately. Mechanically operated coupler locking lever, no hydraulics to maintain or repair. 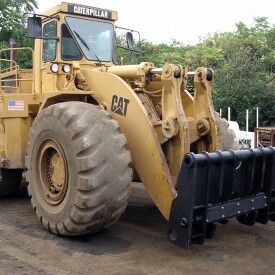 Can be manufactured for any two yard size wheel loader or larger. 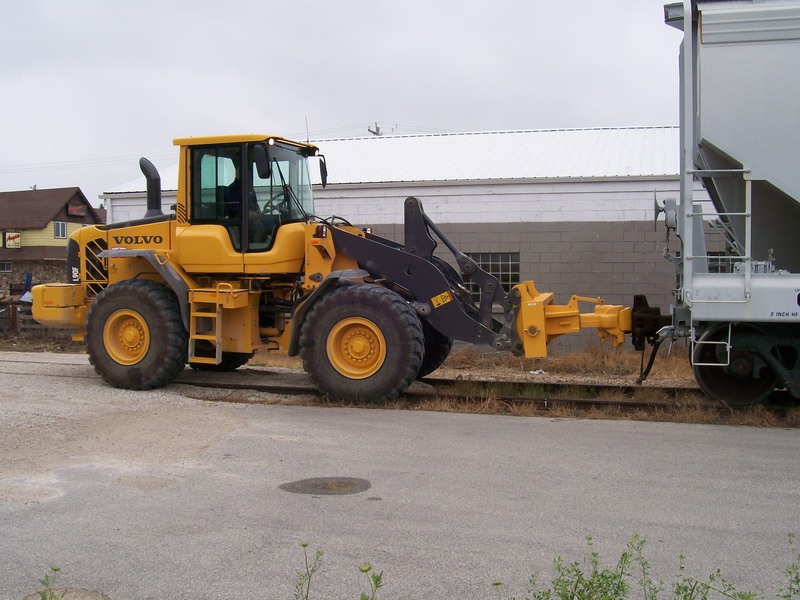 Move all types of railcars without damage to sides or undercarriage. 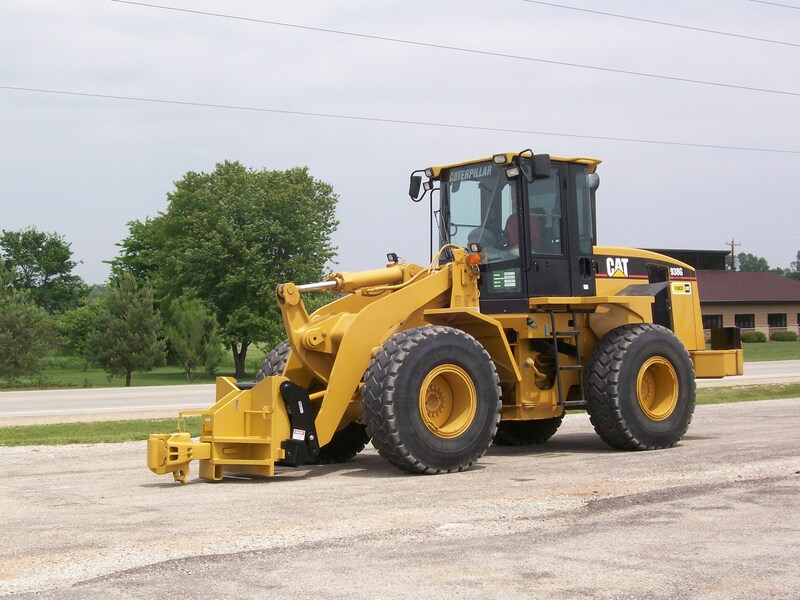 Using coupler prevents damage to forks or bucket of loader. “We are very pleased with the SAS Rail Coupler. It allows us to safely move five railcars at once. We used to move the railcars with the forks. Several times we’ve damage the railcars by poking a fork through the railcar. Once the railcar owner started billing us for the damage, I knew we had to do something different. The SAS RR Coupler has been great on our Volvo L220F. 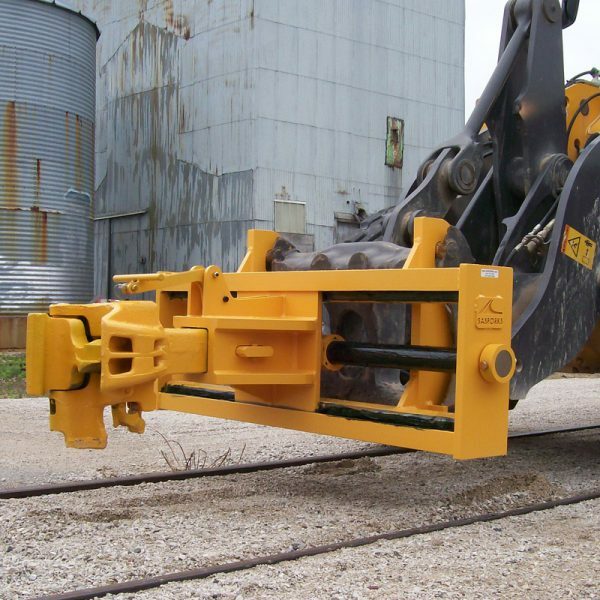 I would estimate we’ve moved over 3,000 railcars since we bought it.” Subsequently in following years; Sims Metal Management has purchased additional SAS RR Coupler attachments to improve the safety of moving railcars. The SAS RR Coupler has been built for a number of makes and models of wheel loaders in the Sims fleet, including: Volvo L220, Cat 980, Volvo L150, Volvo L110.